Enjoy our San Antonio, Texas Hotel's Incredible LocationLocated off Interstate 10 and in the heart of San Antonio, Texas, our hotel's convenient access to the airport and numerous attractions and corporations makes it the premier place to stay while visiting this cultural gateway to the Southwest.Because our San Antonio hotel's near the Alamo and Six Flags, guests are encouraged to spend a few days enjoying the thrills of both attractions. In addition, the entire family can enjoy a trip to the River Walk, just a few miles from our hotel. Browse the shops and restaurants that line this pedestrian area while you enjoy a scenic stroll along the river. 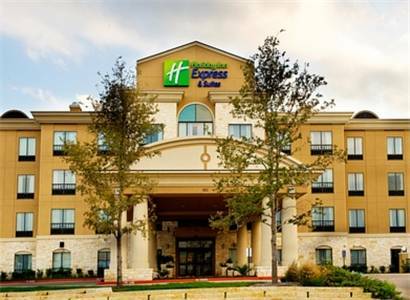 Our corporate travelers appreciate our San Antonio, Texas hotel's 24-hour Business Center that boasts such amenities as fax, copy, e-mail and print services. We are located just a few minutes from the South Texas Medical Center, Verizon, Toyota, Bank of America, Wachovia and the airport. Also, be sure to reserve our spacious meeting room, with accommodations for up to 25 guests.When compared to other San Antonio hotels near the Alamo and River Walk, our amenities surely stand out. We offer a relaxing outdoor pool and whirlpool in addition to our well-equipped Fitness Center to help you burn off those extra calories. And don't forget our free, Express Start breakfast bar with our signature cinnamon rolls and 100% Arabica bean coffee, which provides the perfect start to your day . New Upscale Shops just 10 minutes from the hotel. Exclusive stores like Tiffany's, Nordstrom, Nieman Marcus, Apple, Luis Vitton, Dillard's and more. Just 15 minutes from the hotel. Shops include Dillard's, JCPenney, Macy's, Apple, Foreever 21 and more.